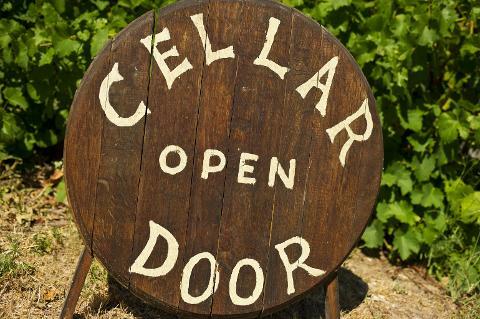 Visiting world class cellar doors for wine tastings whilst cycling well laid, off road and relatively easy cycling trails across South Australia – including the Riesling Rail Trail & the Coast to Vines Rail Trail – savour the best of this gourmet region of Australia. 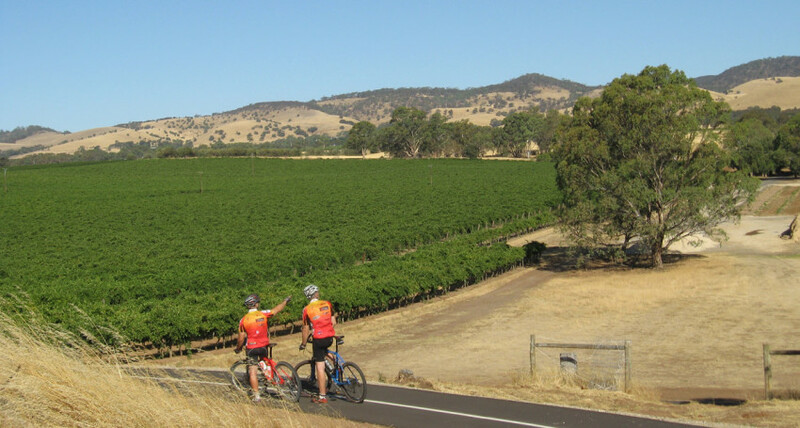 Bikes, support, gourmet meals, wine tastings…& more…are all including in this classic Cycling Tour in South Australia. We can also provide transport throughout ask for a quote (based on numbers). Arrive into Adelaide, transfer to your accommodation (Mayfair or Playford Hotel), take a look around Adelaide. Enjoy your first dinner and get excited about your adventure ahead. 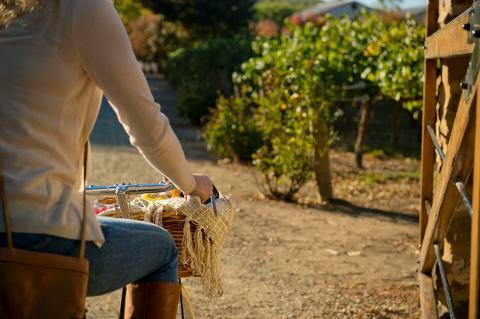 Travel to the Barossa for a day of cycling, wine tasting and gourmet food sampling. We visit Penfolds, Maggie Beers, Yalumba and other iconic food and wine venues whilst cycling the off road Barossa Rail Trail. An easy day on the bike with the focus on food and wine. Cycling distance 30kms. Transfer to Auburn to your accommodation. Meals: Full breakfast; Platter style lunch in Barossa, Dinner in Auburn. Today you will cycle approximately 35kms toward Clare on the off road Riesling Rail Trail, with lots of scheduled stops on the way, including a full gourmet lunch at the highly regarded Skillogalee Winery. Overnight in Clare, with dinner included at a local gourmet venue. Transport is included on your tour of McLaren Vale, so be ready for your pick up after breakfast this morning for a fantastic all inclusive cycling day tour of the nearby McLaren Vale wine region. Enjoy a winery lunch before being transferred back to your hotel. Cycling distance 30kms. Overnight in Adelaide. Meals: Full breakfast, winery lunch. Enjoy breakfast, check out of your hotel and prepare for your onward journey.